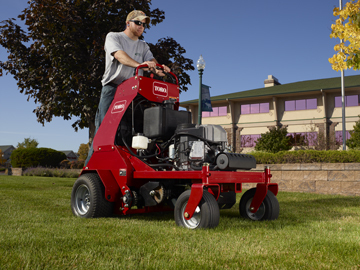 The Toro 30" stand on aerator boasts a powerful Kawasaki V-Twin engine with integrated hydraulics that follow the contours of the ground to pull even plugs over hills and soft ground. It applies up to 1,200 pounds of down pressure on the tines to pull up to 5" cores and operators can finely tune the hydraulic system to pull any length of plug on the fly. 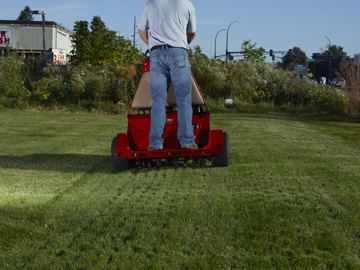 This Toro ride on aerator has electronic foot pedal controls that allow the operator to raise and lower the tines instantly for quick zero-turn maneuvers without talking their hands off the controls. 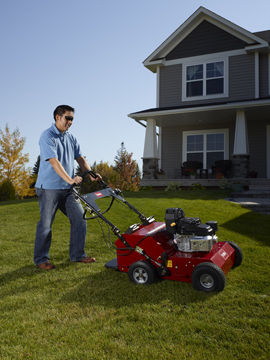 The aerator is equipped with a floating operator platform that isolates the operator from vibrations for an exceptionally smooth ride. 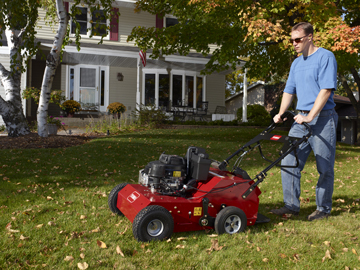 This 30" wide machine can reach speeds of 7.5 MPH and can hold 5 gallons of fuel which extends your operating time. 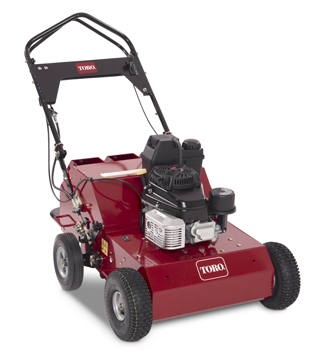 The Toro 21" hydraulic aerator features a unique hydraulic drive system that provides excellent maneuverability and ease of use - no need to raise the tines to turn the machine. 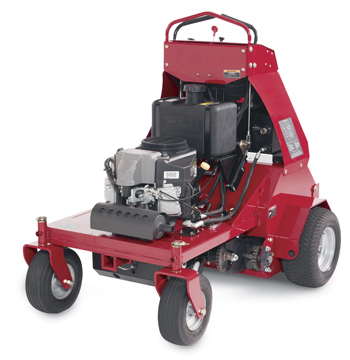 A wide unibody frame with 10-guage steel construction and outboard drive wheels give this machine a low center of gravity for excellent side hill stability. 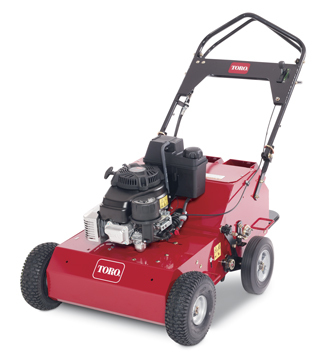 This Toro aerator is compact enough to get into the tightest areas and can aerate in reverse to back out. Handles fold up to make transport and storage a snap. Self cleaning tines are capable of creating plugs up to 4" deep, depending on ground conditions. 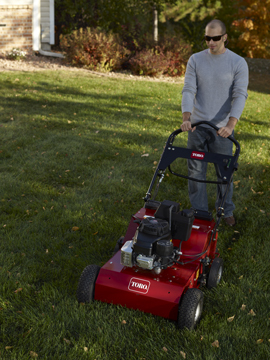 $0 down and no payments until July on New Toro Aerators!